What do you do with cloth diapers that leak excessively especially at night? Every now and then you will come across cloth diapers that despite being considered as highly absorbent, they leak to a point where your baby wakes up all soaked. Disposing them and getting a different brand may not make sense economically. So how do you deal with this? The best way is by increasing their absorbency using inserts, boosters, soakers or doublers. In this article, we shall talk about how to make cloth diapers more absorbent when you have a really heavy wetter. 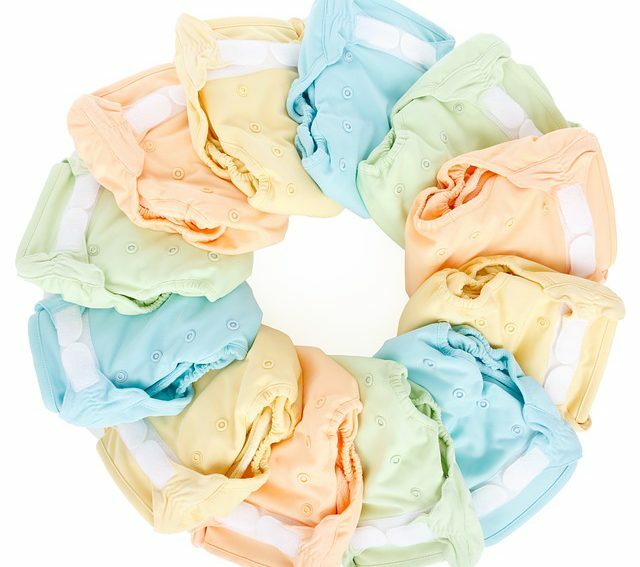 What options do you have to make cloth diapers more absorbent? You have several options to increase the absorbency of your not so absorbent diapers. You can choose to use pocket diapers and you can easily customize their absorbency, add highly absorbent inserts, add boosters, soakers or doublers, or use highly absorbent prefolds. Pocket cloth diapers as the name suggests have a pocket where the inserts are stuffed. The top layer of the pocket is made from a material that allows liquid to pass through and still remain dry such as suede or micro-fleece. The outer cover, on the other hand, is waterproof so liquid can leak through. Now to increase the absorbency of the diapers, add the desired number of inserts inside the pocket of the diaper. There is a wide variety of cloth diaper inserts as discussed below that you can use depending on how absorbent you want the cloth diapers to be. Once you increase the absorbency, your baby will definitely remain dry through the night. Most common materials used to make cloth diaper inserts include bamboo, hemp, cotton and microfiber. Among these four options, some are more absorbent than others. Cotton is a natural material and commonly used for making cloth diaper inserts. It is preferred because it is affordable, soft, breathable and highly absorbent. It is also very easy to clean off poop from cotton inserts. However, if your child wets heavily, you may need to add several cotton inserts in order to avoid leaking. This can make the diaper really bulky and uncomfortable for the little one. Bamboo is also a natural material made from bamboo plants. It is considered the most absorbent material compared to cotton, hemp and inserts. It is also very soft, breathable and dries very fast when washed. 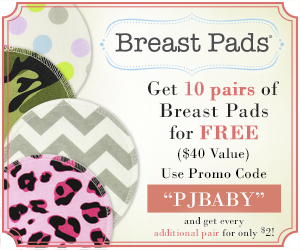 Also, the more you use the bamboo inserts, the more the absorbency increases. In addition, bamboo inserts do are easy to clean and do not stain easily. The high absorbency of the bamboo inserts means that you do not need to add several layers in order to prevent leaking. Some of the downsides of these types of inserts are that they are relatively expensive and not as long lasting as cotton. Hemp is a natural fiber that is highly praised for its high absorbency and durability. It is believed to have antibacterial property, which helps to prevent the growth of bacteria. This also makes them great for babies with sensitive skin. The problem with hemp is that it is really rough and stiff. For this reason, it is usually mixed with other materials like cotton in order to make it super soft and flexible. Also, if hemp cloth diaper inserts are not washed and rinsed thoroughly, they can smell really bad because hemp traps odors within the fibers. Microfiber is, however, an artificial or synthetic material, unlike the cotton, bamboo and hemp inserts. Nonetheless, it is highly absorbent and absorbs liquid quite first. In addition, just like the bamboo inserts, the absorbency of microfiber inserts increase with every wash. Some drawbacks of the microfiber inserts include; they feel rough on the baby’s skin; hence they should not be placed next to his or her skin. They also smell if not washed and rinsed properly. PRO TIP: To increase the absorbency of cloth diapers, you can try combining different types of inserts. For instance, you can place bamboo inserts in between hemp or cotton inserts for overnight diapering. You must be wondering what is the difference between inserts, soakers, boosters and doublers? Well, boosters, as the name suggests, are used to boost the absorbency of the inserts. What this means is that once you place the insert in the diaper, you can add more absorbency by placing a booster under the insert. In order to ensure high absorbency, the booster should be more absorbent than the insert. For instance, if you use a microfiber insert, add a hemp or bamboo insert. Soakers refer to the inner layer of the diaper that absorbs the moisture. They can be attached to the diaper or detached. For instance, in the all-in-one diapers, the soakers are attached to make one piece. Thus, they cannot be removed and washed separately. As for the all-in-two diapers, the soakers are detachable, meaning they can be removed and replaced just like inserts. Doublers are usually added along with inserts to increase absorbency. Adding two or more inserts can make the diaper really bulky around the legs. Hence, a doubler would help to reduce this bulkiness since they are usually cut in an hourglass shape. They at times can be used in place of an insert when your baby is small. If you are using prefolds, you may be wondering how to make cloth diapers more absorbent when you have prefolds. Prefolds are simply a rectangular piece of cloth similar to what our grandmothers used years ago. So how do you make them more absorbent? Well, one way is to use prefolds that are made from a highly absorbent material such as bamboo. Bamboo, as we discussed earlier, absorbs more than even cotton and microfiber. Another way is to add a smaller prefold inside the larger prefold to make it more absorbent. A liner made from fleece can really help to keep the baby dry when using prefolds. To conclude, remember that a good cloth diaper wash routine helps to determine whether your cloth diapers and inserts will remain absorbent with time or not. You need to use the right detergent, the right washing method, and most importantly, ensure the water is at the right temperature.